Despite the fact that the field of non-market strategy is gaining more attention in recent years, few researches provide a comprehensive chronology of the development and competitive advantages of non-market strategies for specific markets. It seems that combining market and non-market strategies into a single strategy, monitoring and researching emerging drivers of change within their business, social, ecological and political environment is becoming a more common goal for organizations. This study gathers the main concepts of non-market strategy as explained by scholars in different fields along the last decade. 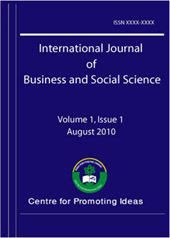 Related articles were collected from All Database of ISI Web of Science. The data collection focuses on the social science and business economic domains. This study provides a chronological list of non-market strategy concepts, valuation methods and a ISI Web of Science bibliographic analysis. The results also provide the main fields applying non-market strategies are as follows: business and economics 39%, environmental science ecology 18%, agriculture 7%, international relations 5% and government law 4%. Besides, results show a research trend from the circumstances within which non-market strategies are applied (prior to 2010) to the study of non-market strategic actions to gaining market competiveness.